Spice things up with the new Nova Jalapeño - Hello! Welcome to my blog! 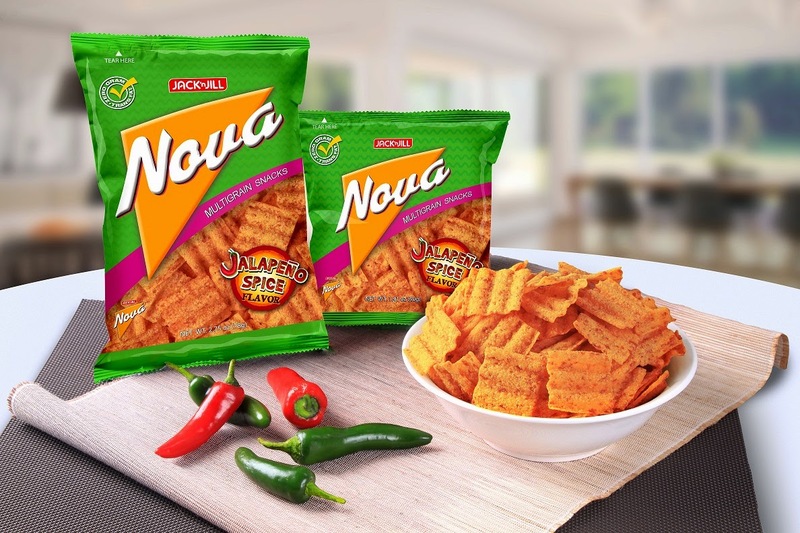 Jack ‘n Jill Nova introduces another healthy snacking option with its latest variant, Jalapeño Spice. Indulge in the guilt-free goodness of this fiber-rich multigrain snack made tastier with a spicy jalapeño kick. Turn the heat up with the newest Jack ‘n Jill Nova flavor, Jalapeño! The fiber-rich multigrain snack now comes with an exciting kick of jalapeño. Made with the goodness of four wholesome grains – wheat, corn, oats, and rice – Nova Jalapeño is a guilt-free snack that goes well with your active lifestyle. Live the Nova life and spice up your next adventure with Nova Jalapeño! Grab this mouth-watering snack in leading groceries, supermarkets, convenience stores, and sari-sari stores nationwide. It’s also available in Country Cheddar and Homestyle Barbeque flavors.